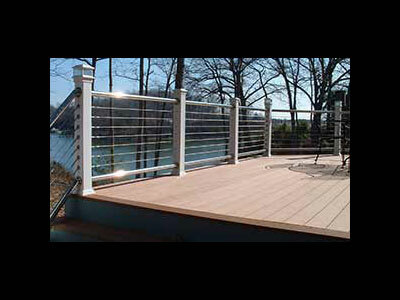 We offer custom design and installation of composite and wood decks, complete with your choice of railing, lighting, and wraps. We back our products with the best lifetime warranty in the industry. 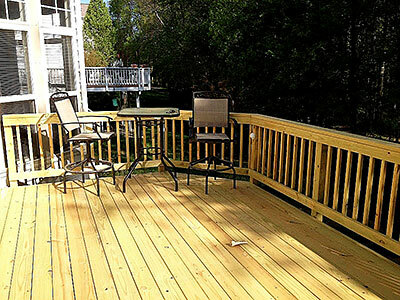 The savvy consumer will quickly realize the cost effectiveness of a new maintenance free deck. When you factor in the annual cost to power wash and treat a wood deck, the average payback on your initial investment is about 5 years. 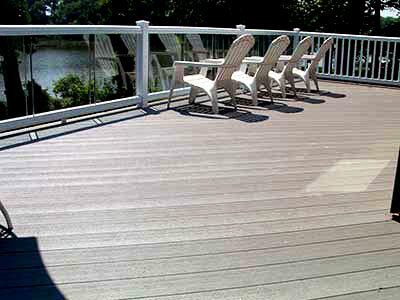 Our maintenance free deck will look as good in the years to come as it does on the day it was installed. Do it once and enjoy. 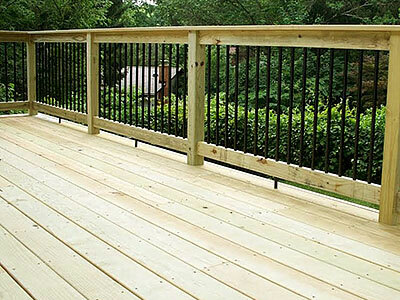 Also, you can feel secure knowing your deck comes with a lifetime structural warranty. 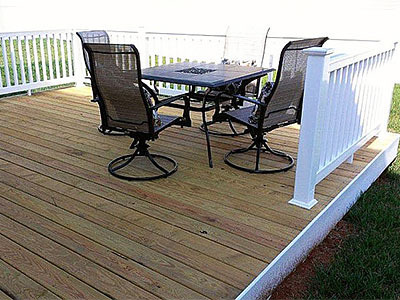 Check out our decking gallery for more! 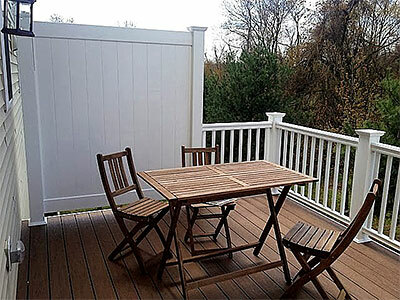 For those customers looking for a more natural look, Fence & Deck Connection’s choice deck boards give you the natural beauty of wood, while offering a lifetime warranty against rot, decay and insects. 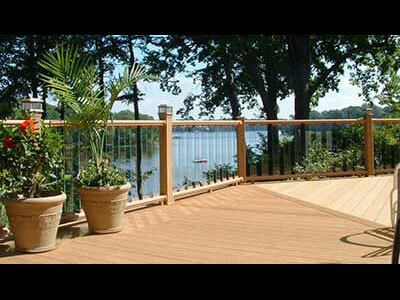 Wood decks require annual maintenance, but with proper care, you can count on our natural wood decks to give you a lifetime of enjoyment. And as always, we give a lifetime structural warranty on all our decks. 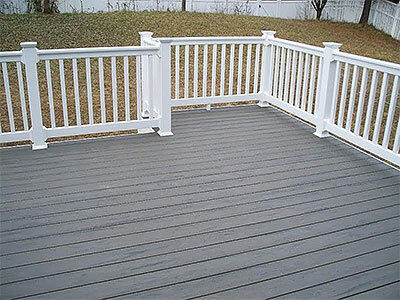 Fence & Deck Connection offers wood, vinyl and composite deck and porch railing systems, including structural support posts, for all your needs. 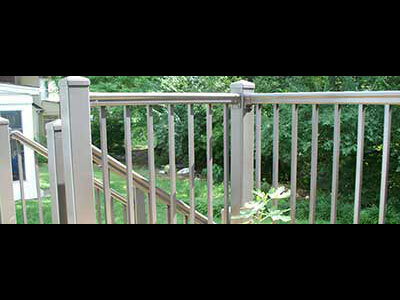 Replace existing wood railings with our composite or vinyl rails and never paint again! 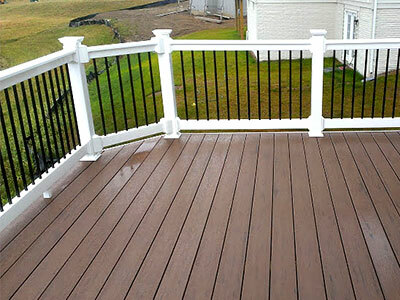 Fence & Deck Connection offers a wide variety of accessories to customize your dream project. From custom Arbors & Pergolas to planter boxes and benches, we can build it all. We also offer many custom light packages to include post cap lights, stair riser lights and overall spot lighting.